Barnhouse’s Crazy Music operates at a steady tempo kept by the stream of customers that flows through the store each day. Most are regulars that the owner knows by name, but some are first time visitors eager to dive into the music world. Bill Barnhouse, the owner, and Joe Goforth run the store, and there is never a dull moment when those two are together. They’re a funky duo and enjoy playing off of everything happening in the store, both conversationally as well as musically. When customers come in, Bill and Joe are quick to offer up a greeting and help them find what they’re looking for. There is no question that Barnhouse’s Crazy Music is a staple of the Columbia community. 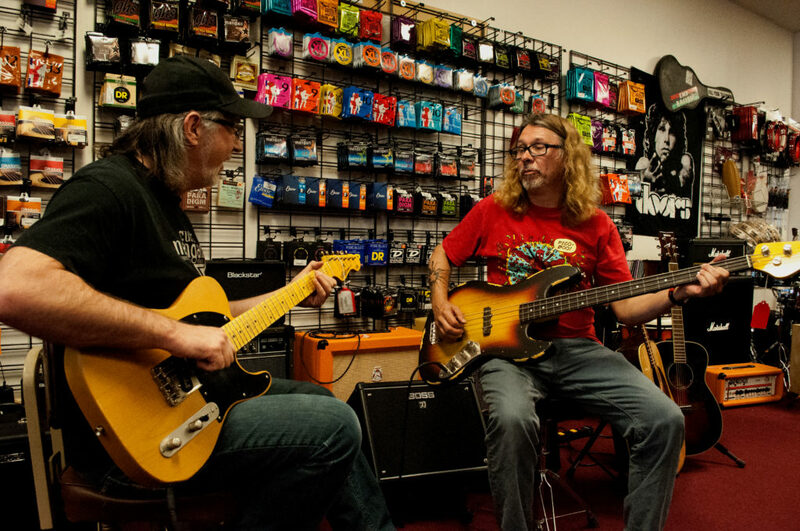 Since 1973, the store has been a destination for musicians in the area, full of hidden gems from vintage Fender Stratocasters to obscure amps and effects pedals. Bill Barnhouse took ownership of the store back in 2006, when it was still located at Eighth and Locust in The District. About 5 years ago, the store moved to its current location in the Parkade Plaza. 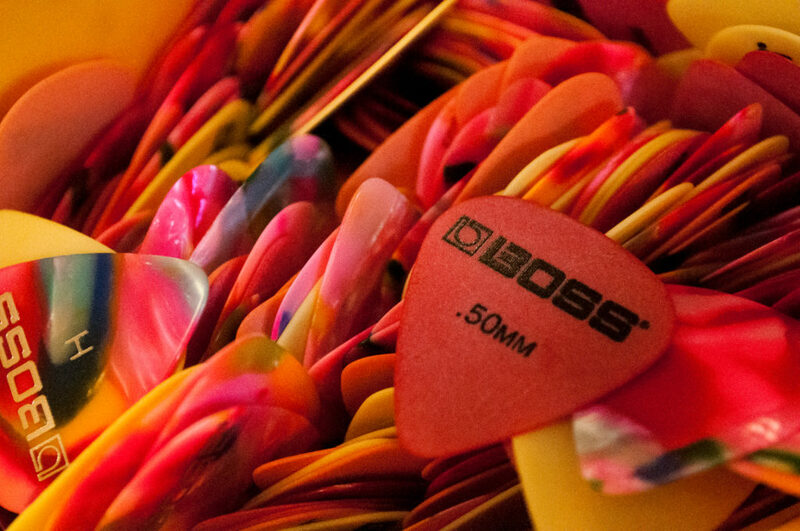 Bill stocks guitars, amps, PA systems, and musical accessories. 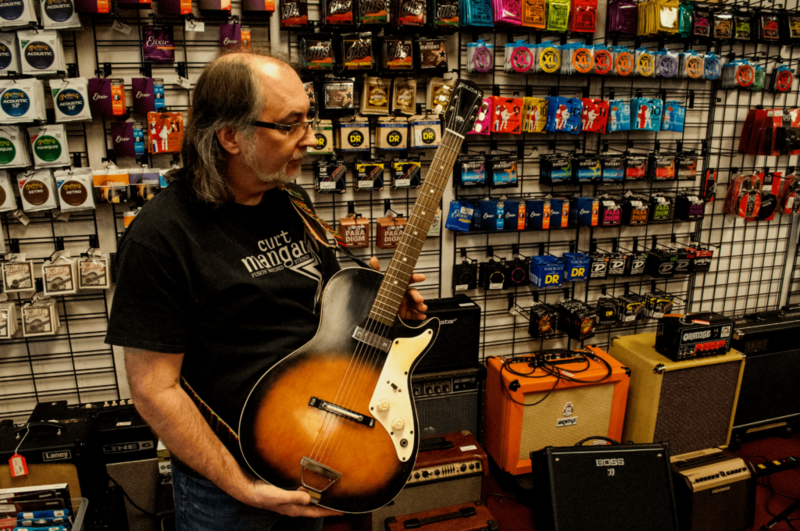 He buys each guitar himself, spending his time trying to find the best deals to “get the most bang for his buck.” At the end of the day, though, he picks each one with his customers in mind, always searching for the ones that people will love. The store boasts a wide selection of equipment, and Bill has a wealth of knowledge on everything in it. 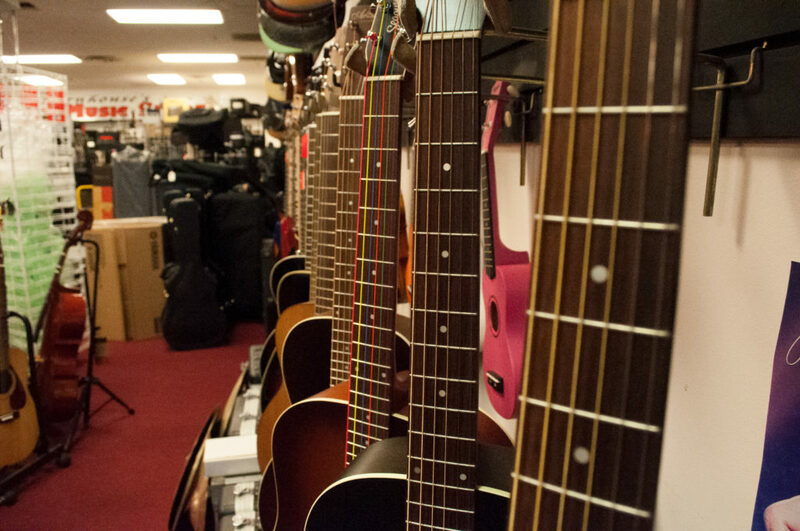 Of course he has favorite things in the store, namely an old, beat-up Holiday guitar that sits behind the counter. When Bill and Joe sit down to play together, Bill grabs his guitar and Joe picks up a bass. From there, the two easily find a groove and let it take them wherever it wants. The chemistry between the two isn’t only for them – when someone comes in to browse or talk, that friendly duo just gets a little bit bigger. 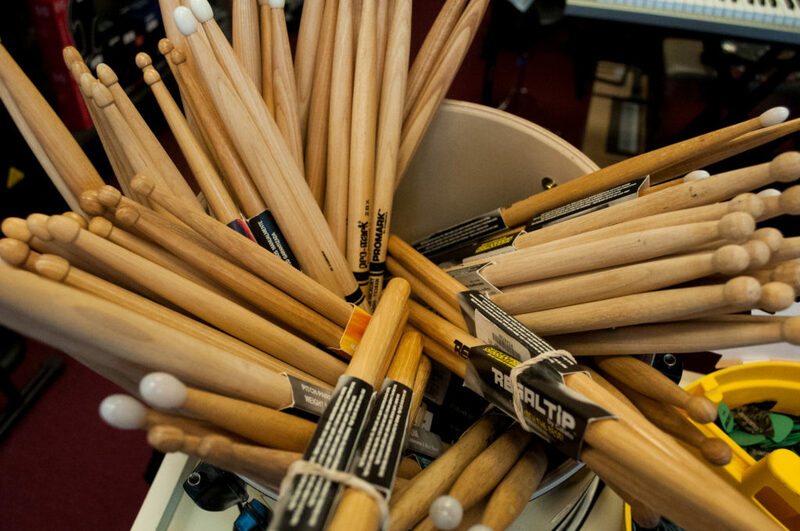 Whether you’re looking to get your first instrument or a seasoned musician looking for a certain piece of equipment, Barnhouse’s Crazy Music is the place to go. Not only will Bill and Joe help you find what you need, they’ll show you what real community is all about.